F1 returned in farcical circumstances in Australia. Heading into the season opener we didn’t know how many cars would be on the grid, which drivers would be there or how many races will be on the calendar (and we still don’t). Even once we got to Melbourne, one team was in court being sued by one of its three drivers and another found that their car wasn't able to run at all. In the end, just 15 cars, 75% of the entry list, started the race and we were reduced to 13 runners after just one lap. But after all that, a race eventually broke out. As suspected, the Mercedes were dominant but behind that the pecking order wasn’t nearly as defined. Valtteri Bottas’ qualifying injury and Kimi Räikkönen’s pitlane woes masked the battle for best of the rest between Ferrari and Williams, and Sauber emerged as the next best team as the Renault-powered Red Bull stables struggled. The star of the show was debutant Felipe Nasr. Melbourne’s attritional nature and the street circuit layout always allows rookies to shine and this year Nasr was the man to exhibit his skills. The Brazilian GP2 runner spent the week wondering if he would get to drive in Australia and the decision was made so late that Nasr had to sit out first practice, waiting for a compromise between the two sides. But once Nasr did get in the car, he was on form all weekend. Having done the second most laps in testing, Sauber were as prepared as anyone but Nasr had no experience of the Albert Park circuit. 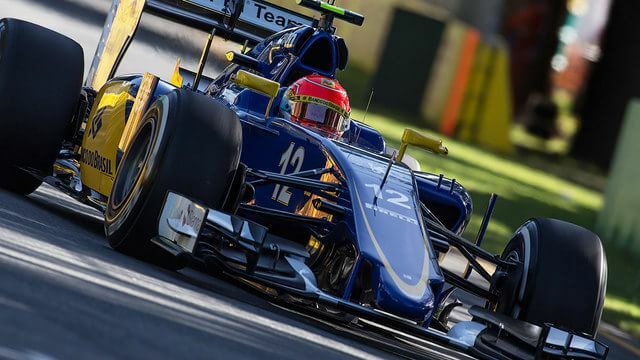 Yet he looked like an experienced veteran as he got the maximum out of his Sauber in qualifying trim on Saturday, qualifying 11th after a noble effort which saw him miss out on Q3 by less than a tenth of a second whilst his teammate Marcus Ericsson languished in 16th. That was just an entrée as Nasr showed experience beyond his years, securing Sauber’s first points since the 2013 Brazilian GP. Nasr made a good start from tenth and exiting turn one came across Kimi Räikkönen on the outside controlling a tank slapper. Räikkönen and Nasr touched and it resulted in the innocent bystander Pastor Maldonado being pitched into the wall on the outside of turn two. Maybe Nasr was a bit naïve and didn’t give the Ferrari enough room but in reality, Nasr had nowhere to go himself and was pinched in between Räikkönen and Maldonado. After moving up to sixth on lap one, Nasr made a critical pass on Carlos Sainz Jr, a brilliant move as the safety car pulled in, dummying Sainz and overtaking on the outside of turn one. This gave the Brazilian clean air to attack and push the Sauber to its potential. It allowed Nasr to open up and maintain a gap to Daniel Ricciardo. The battle was tight over the course of the race but Nasr looked in control throughout the race ahead of the standout star of 2014. Perhaps it was the Ferrari engine giving Nasr a clear advantage but the rookie looked incredibly composed on his way to a fantastic fifth place, the last on the lead lap. The circumstances surrounding Sauber at the moment should not be forgotten. Felipe Nasr may well have been driving to keep his seat at Sauber and despite that pressure, he was the coolest driver on the track, securing much needed points and money for the cash-strapped Swiss squad. With all the attention on the 17 year old Max Verstappen making his debut for Toro Rosso in Australia, you could be forgiven for forgetting that there was another new driver in the other Toro Rosso. 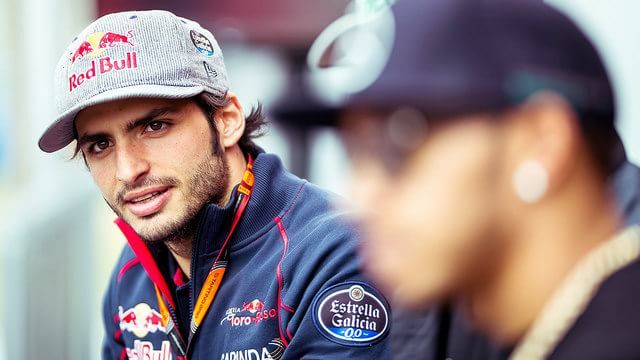 Sainz showed in Melbourne that he isn’t to be overlooked as the next big thing from Red Bull. He found an extra two tenths in Q2 that proved critical as he edged into Q3 while Verstappen was stuck in twelfth. Sainz qualified eighth but was up to fifth before the first lap safety car. He lost out to Nasr and Ricciardo after the safety car and Räikkönen soon after as his Renault engine left him with no defence against Ferrari-powered competitors. A slow pitstop left Sainz plum last but then the red mist descended and Sainz fought back, chasing down the slow McLaren of Jenson Button and then Sergio Pérez, passing Marcus Ericsson too. The alternate strategy during the safety car of Ericsson left Sainz defenceless against the Sauber on fresher tyres with just a few laps to go. Regardless, Carlos Sainz Jr has proved a point that he is a protégé too and the battle between him and Verstappen throughout 2015 will be fascinating. It didn’t get much attention but Force India had a solid outing in Melbourne, especially after only two days of testing the new car. They were reliable, though did lack outright pace, leaving them hoping for points from others’ misfortune. The Silverstone pair escaped Q1 comfortably by over a second. Once in Q2, it got a lot closer. Force India had no chance of making Q3 and ended up 14th and 15th with Hülkenberg pipping Pérez by a mammoth thousandth of a second. Hülkenberg spent the first stint in a tight battle with Max Verstappen and Marcus Ericsson, allowing the likes of Ricciardo and Sainz to move clear. Once Verstappen pitted and duly retired with a power unit issue, Hülkenberg was suddenly in a race of his own, running eighth, 10 seconds ahead of Marcus Ericsson. 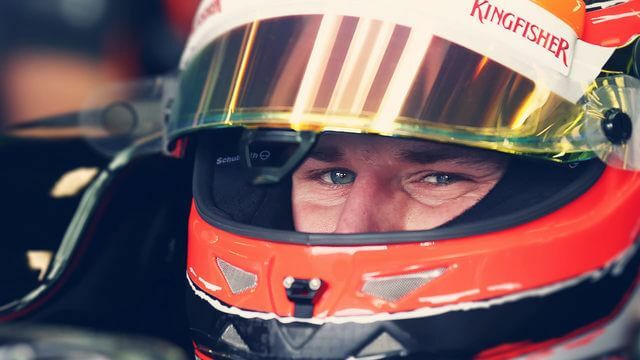 After Räikkönen retired with a loose left rear wheel, Hülkenberg was able to cruise home in seventh with vital points for Force India after their toughest winter yet.